TV documentary maker, Glamour columnist, author and all round lovely lady Dawn O'Porter came to Waterstones in Toon this week to talk about her book "Goose". 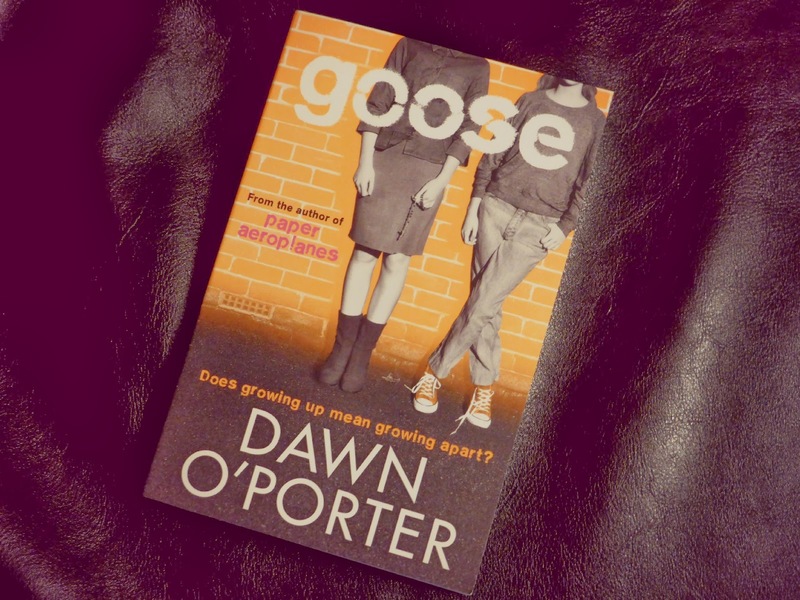 Goose is the follow up to Paper Aeroplanes, a book I discovered last Summer and thoroughly enjoyed (it will forever remind me of hot and sunny lunch hours on the Quayside). The books are a wonderful story of a friendship between two girls in Guernsey, Flo and Renee. I've always loved a good coming of age story and Dawn has really got into the heads of the girls and developed some fantastic characters. The inspiration for the story has come from Dawn's own life, making it a story that very much springs off the page. Dawn is a very strong believer in the power of female friendship and finding that one true friend who carries you through life. She plans to carry on Flo and Renee's adventures through the decades and can very much see herself writing the last book featuring them as old ladies together gossiping over ham sandwiches. 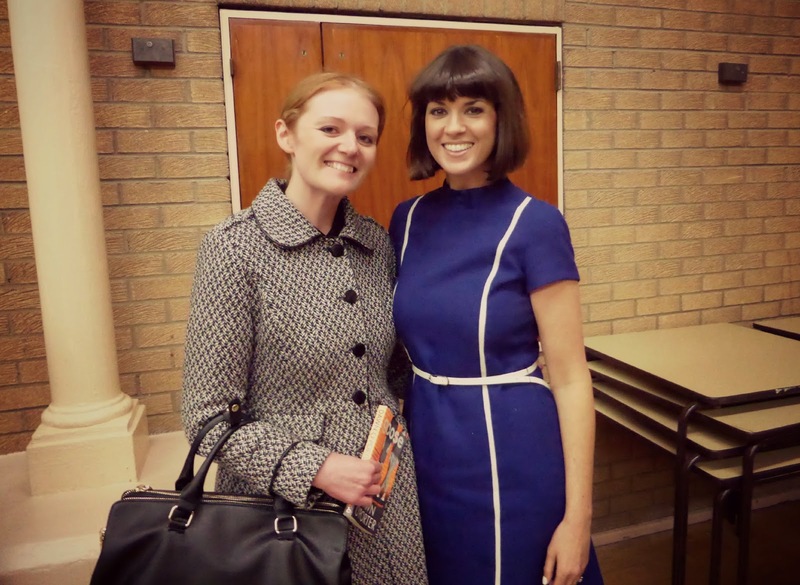 She was very inspiring to listen to and it was interesting to hear about her transition from Dawn O'Porter, TV personality and wife of Chris O'Dowd, to author. Dawn is very passionate about her writing and you could really hear the love she has for her books and characters in her voice as she spoke about them. She doesn't want people to see her as yet another celebrity who has written a book and has worked hard to be taken seriously as an author, her dedication has paid off as she's just been nominated for a Waterstones Book Prize. Her novels are marketed as "teen fiction" but I personally think they appeal to a far wider audience, set in the 90s they are hugely nostalgic and also carry a great message about female friendship. As well as chatting about her book Dawn happily talked about her life in sunny LA, planning her famous "Wedfest" to Chris and her discomfort at walking the red carpet as the wife of a movie star. I left the evening with a little bit of a girl crush and serious hair envy. Whilst I looked battered and wind swept after a busy day at work Dawn looked gorgeous in an electric blue dress she had found on the floor of a flea market for $5. She spoke a little about her love of vintage shops and I'm now very excited to see her new programme about vintage fashion coming to Channel 4 soon. Paper Aeroplanes is already out to purchase, and Goose is released this Thursday. Dawn's book tour continues through the UK and Ireland this month, you can catch her in Birmingham, Belfast, Dublin, London, Southampton, Brighton and Swansea. Thanks :) The weather has been so awful the past week I've had to tie it up for work every day or it'd be such a frizzy mess! Windswept?! I was just about to comment on how lovely you BOTH looked! I rarely stray away from a crime thriller book (apart from Harry Potter of course) but if these are filled with 90s memories I might check them out! Me too, love her hair and style!